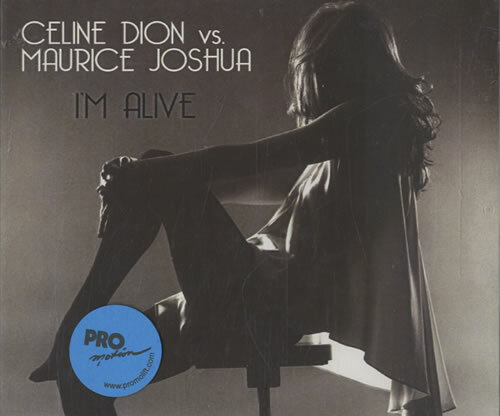 CELINE DION I'm Alive (2009 US promotional 3-track CDR acetate - a brand new remix of Celine Dion's I'm Alive, originally released in 2002, and only available as a promotional single, intended for club use only. Includes Vocal Version, Dub Version and Radio Edit. Custom printed disc issued in a custom printed picture sleeve, with promo-sticker, plus 1-page promotional insert 88697462332).